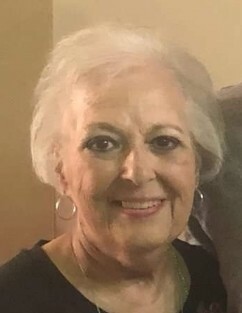 Carole D. Carducci, 66, of Wintersville died Saturday, January 19, 2019 at Valley Hospice. She was born September 10, 1952 in Steubenville. She is the daughter of Ronald "Deak" Snider of Wintersville and the late Rose Bevilacqua Snider, Carole is also preceded in death by her infant daughter, Heather Rose, infant sister, Sharon, and two infant brothers, Anthony and Richard. Carole was a member of Our Lady of Lourdes Catholic Church and was retired from Trinity Medical Center. Surviving in addition to her father are her daughters, Robyn (Mike) Scott of Bloomingdale and Melinda (Keith) Kaczmarek, of Delaware, OH. One brother, Ron (Dana) Snider of Wintersville. Four grandchildren, Haylie, Reese, McKenna, and Mason. Two nephews, Mike and Joey Snider. Carole was a graduate of the former Wintersville High School class of 1970 and was an avid Indian Creek High School fan. Calling hours are Tuesday 2-4 and 6-8 pm at the Mosti Funeral Home, Sunset Chapel. A funeral liturgy with mass will be celebrated 10 am Wednesday at Our Lady of Lourdes Catholic Church, Fr. Michael Gossett, celebrant. Burial will follow at Mt. Calvary Cemetery. There will be a vigil a service Tuesday at 3:45 pm. Memorial contributions may be made to the Tony Teramana Cancer Center, 3204 Johnson Rd., Steubenville, OH 43952.